Home Cancer Mayweather vs Alvarez: Astrological tale of the tape. Mayweather vs Alvarez: Astrological tale of the tape. Today is the last mega-fight of the year for boxing. 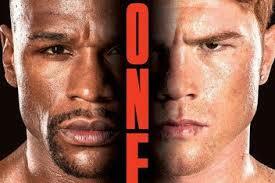 Where Lb for Lb king Floyd Mayweather Jr. challenges young gun Saul “Canelo” Alvarez for his light middleweight belts. We’re used to hearing of the conventional tale of the tape but here I’m going to show and explain a different kind of tale of the tape. Using astrology. Both Floyd Mayweather’s natal chart and Canelo Alvarez’s natal chart are posted above, without accurate ascendant signs since I couldn’t find any information on them. Now 36 years old, the Saturn contacts that motivate him to work and fixed moon discipline still appears to be there. The Mars trine Pluto obsessiveness to constantly up his game is present. The malefics push him out of feelings of inadequacy at some level so I believe he will always strive to be great in whatever he does. I like Mars in Aquarius for fighters. Fixed air helps keep him somewhat “detached” from his fight or flight instincts so that he can stay focused, and not become hyper aggressive, or break down emotionally (Fire/water). Check out more on Floyd in Astrology in the sweet science . Sit down on right hands to keep him honest. Cancers tend to have good chins. At 23, he’s had more fights than fighters 10 years older than him. He has a lot of experience. With Moon in Gemini sextile Mercury in Leo, he has above average reflexes. Cancer fighters throughout history have been known to be heavy hitters. ( Mike Tyson most notably) So Floyd will have to stay on his toes, which he is great at even at 36. Mars in Taurus is a hard hitter , as Taurus is fixed earth. However Mars in Taurus can be lazy, and passive. Stamina is questionable. ( Muhammed Ali’s rope a dope tactic was pure Mars in Taurus, laziness and attempts to catch breaks but look slick doing it). He also fights coming forward but needs to plant his feet and set. Doesn’t fight going backwards and isn’t light on his feet. So he will have problems getting off in my opinion. Check back later when I add in the post fight report. So Mayweather fought his way to a majority decision. Canelo failed to pick up the work rate due to his inability to punch on the move, as well as Mayweather’s superb feinting and defense keeping Canelo off balance. Canelo didn’t execute anything I highlighted in the keys to victory. Mars in Taurus showed up mid fight where Canelo tried to “Rope – a -dope” Floyd (like Mars in Taurus native Muhammed Ali) but Floyd didn’t go for the bait. Floyd essentially executed all his keys to victory.